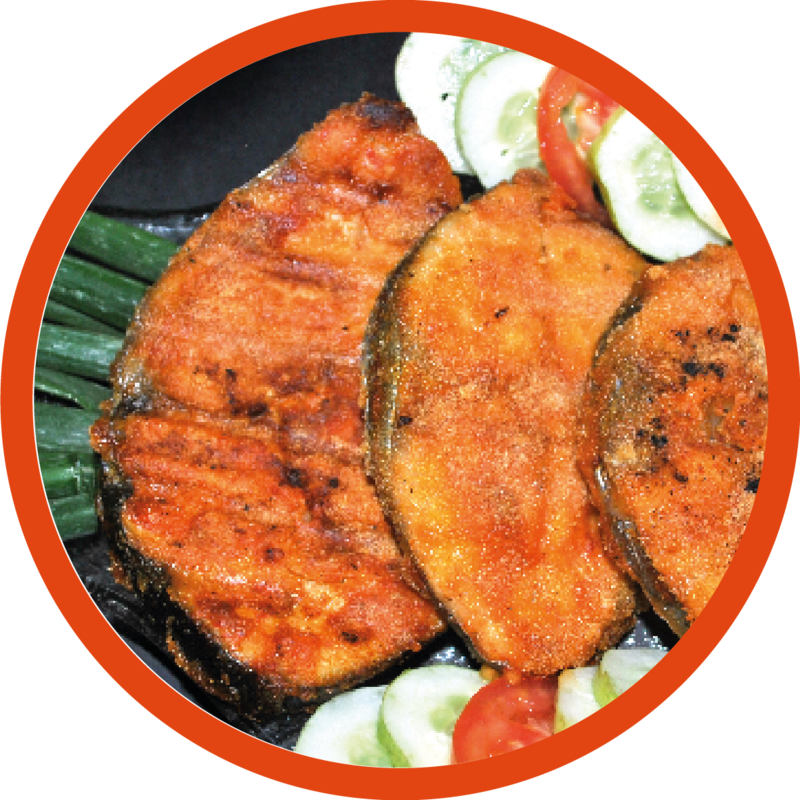 Goan-Konkani fish marinated in spicy masala and coated in semolina before frying. Clean and wash the fish thoroughly. Then cut into thin equal slices. Apply a pinch of salt and turmeric powder on both sides and keep aside for 5 mins. In a large bowl, mix red chilli powder, coriander powder, lemon juice or tamarind paste, 1 tsp oil and add little water to make smooth paste. Coat all fish pieces with above paste. Keep aside for 10-15 mins to marinate. Take some Rava/semolina in flat plate. In a pan, add some oil for shallow frying. Once the oil is hot, coat every marinated fish piece in rava. Coat the fish slices well. Then shallow fry over low flame until the fish turn brown and crispy on both sides. Once done, sprinkle chopped coriander. Serve hot with onion tomato salad. Traditionally it is eaten with rice and fish curry.